Knowledge - Petar played at the highest levels in Europe and in the U.S. against the best soccer players in the world. He knows what to teach, why to teach it, and most importantly, how to teach. Explanation - Step-by-step, in slow motion, Petar shows and explains the correct approach angle, body angle, weight distribution, and ball contact of each skill. Petar breaks down a skill or exercise in many steps. 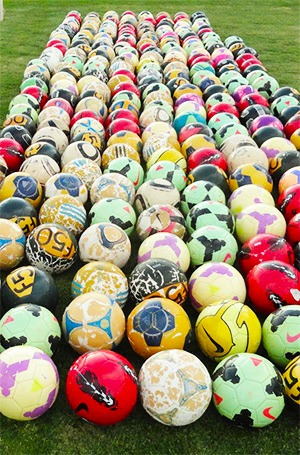 The player can then learn and duplicate the skill. Demonstration - Very few coaches and trainers can accurately demonstrate the correct technique with both feet. Petar is a Master at Demonstration of any skill. Small Group Training - The attention each student receives each session is more than a club coach or trainer has time to give each player in a month. The quality of the technical teaching is the very best. Petar makes corrections for every student performing each skill. Many competitive coaches refer their players to train with Petar. 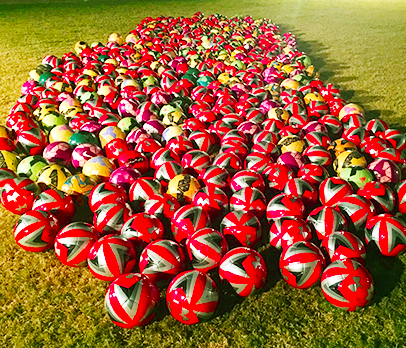 400+ Soccer Balls Used for Training - The number of soccer balls used during each training session allow the students hundreds of repetitions on each technique to perfect their skill. Technical Intensity - Petar takes great pride in pushing the student to technical perfection.